The Automotive Technology program provides theoretical foundations, practical education, and work experience in the engineering, testing, servicing, troubleshooting and repair of automobiles. 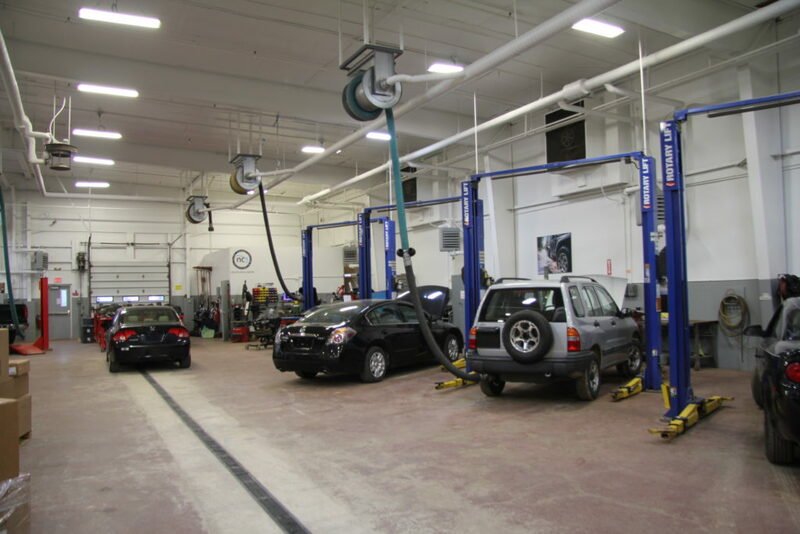 Housed in a modern facility on campus, Penobscot Hall, with a fully-equipped shop the Automotive Technology Program emphasizes safety, and employability. This program provides the theoretical foundation, practical education, and work experience in the troubleshooting, testing, service, and repair of modern automobiles. 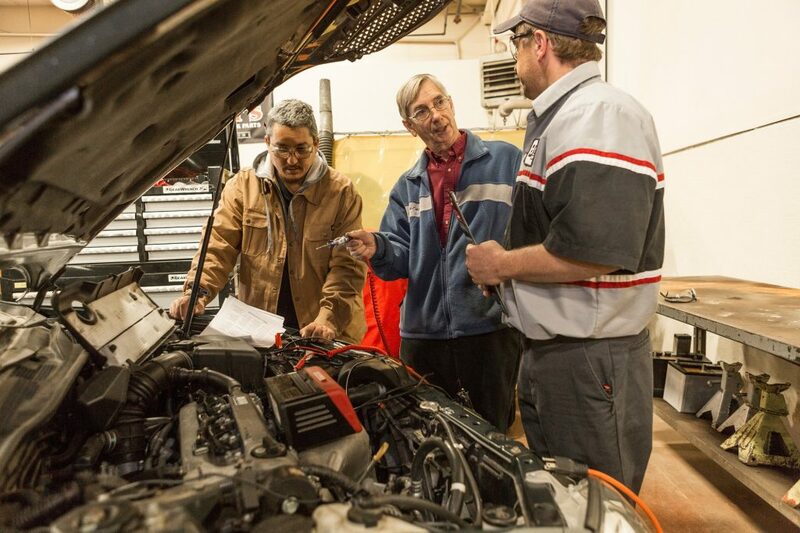 The program is accredited by the ASE Education Foundation in all eight areas of Automotive Repair. The curriculum follows the Foundation standards, and instructs students in all aspects of automotive repair in the major automotive brands. (See ASE website for national standards). This program is also NC3 accredited, the only NC3 school in the area. NC3 is the National Coalition of Certification Centers, which was established to address the need for strong industry partnerships with educational institutions in order to develop, implement and sustain industry-recognized portable certifications that have strong validation and assessment standards. 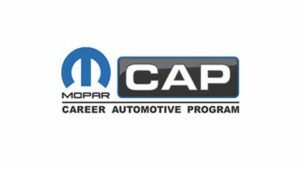 EMCC Automotive Technology students will also study the Chrysler, Dodge, Jeep, Ram and Fiat curriculum, becoming Mopar Career Automotive Program (CAP), level one certified technicians at the completion of the program. This affords the student the opportunity to work for a Mopar dealership, if they have desire to, and begin doing warranty repair for the dealership day one of their employment. Additionally, students may elect to place their name in national data base of MCAP graduates, affording them opportunity to be recruited by dealers from across the nation. If you’re also interested in Mopar performance, visit their Performance Parts website. Recent graduates of the program are employed as automotive services technicians, service managers, maintenance supervisors, service writers, warranty claims adjusters, and parts personnel. A valid driver’s license and a clean criminal background are required in order to complete all graduation requirements. Failure to furnish a valid license may have an impact on employability in the field. Questions concerning this requirement should be directed to Richard Thomas, Department Chair, at rthomas@emcc.edu or 207-974-4805. Visit our Facebook Page to learn more about our facilities and keep up to date with automotive program news. Explain and apply the legal requirements of OSHA, EPA and the State of Maine when performing the duties of a technician. Use acceptable public relations and customer service techniques. Diagnose, repair and document components of electrical/electronics, heating, ventilation and air conditioning. 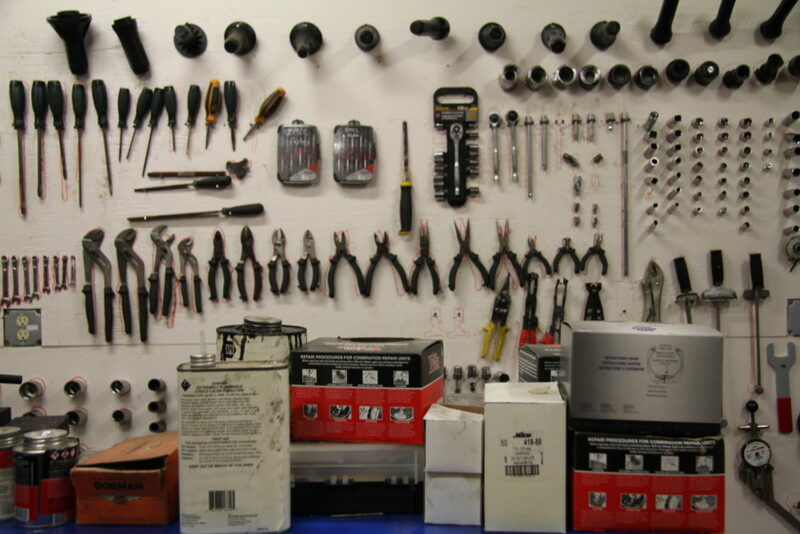 Diagnose, repair and document automotive engines and powertrain systems. Diagnose, repair and document components of automotive suspension and steering systems. Diagnose, repair and document components of hydraulic and anti‐lock brake systems. Analyze and complete a Maine state motor vehicle inspection. Students are tested with standard written tests as well as hands‐on testing that coincide with the assigned textbook, NATEF standards, as well as industry standards in each area. Students must pass Automotive courses with a grade of C or higher to count for graduation. Visit the EMCC Catalog for more information about available courses. Graduates will demonstrate proper public relations and customer service techniques for a fleet or dealer service facility. Graduates will demonstrate understanding and application of legal requirements including those of OSHA, EPA, and State of Maine regulations regarding the handling and disposal of hazardous materials and related safety issues. Algebra II, Geometry, and either Physics or Chemistry with Lab desired. For a certificate, High School Level Algebra I required. EMCC does not currently conduct criminal background screening for applicants to Automotive Technology; however, individuals who have engaged in certain criminal activity could be denied access to gainful employment in their intended field. Additionally, licensing boards for certain professions may deny the individual the opportunity to sit for an examination if they have been convicted of certain crimes. Individuals who have engaged in any activity which may be considered abuse, neglect or exploitation of a minor or of an incapacitated or dependent adult, or who have been convicted of any crime involving fraud or dishonesty, or drugs, or for which imprisonment of on year or more has been imposed are urged to seek clarification from the Director of Admissions prior to an application submission.